I’m very late posting this, but the weekend after Thanksgiving, I decided that hiking in the rain was a pretty good idea. It wasn’t, but I was determined to wrap up my Fall Hiking Spree form. I can be very stubborn at times much to my own chagrin. 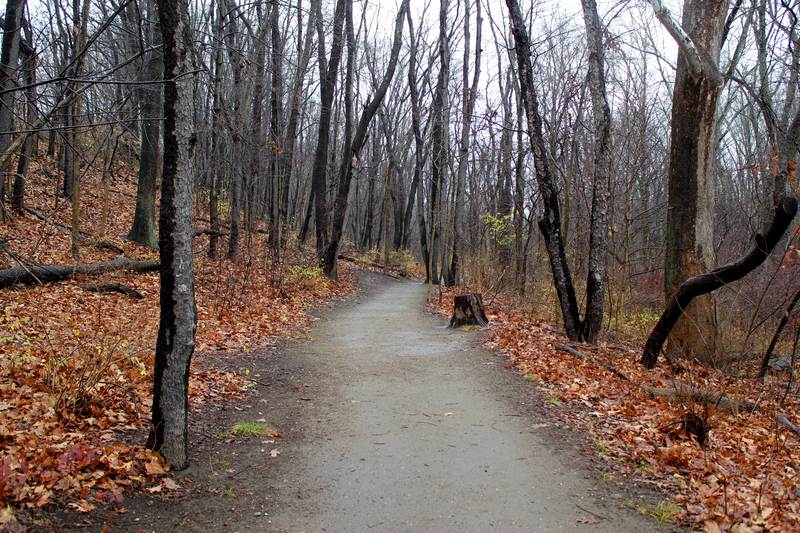 Firestone Metro Park is a fairly easy trail that loops around. I entered near the Coventry Oaks Pavilion and made my way around the loop. It took me approximately 45 minutes. I ended up being followed by some chickadees that probably thought I had food. 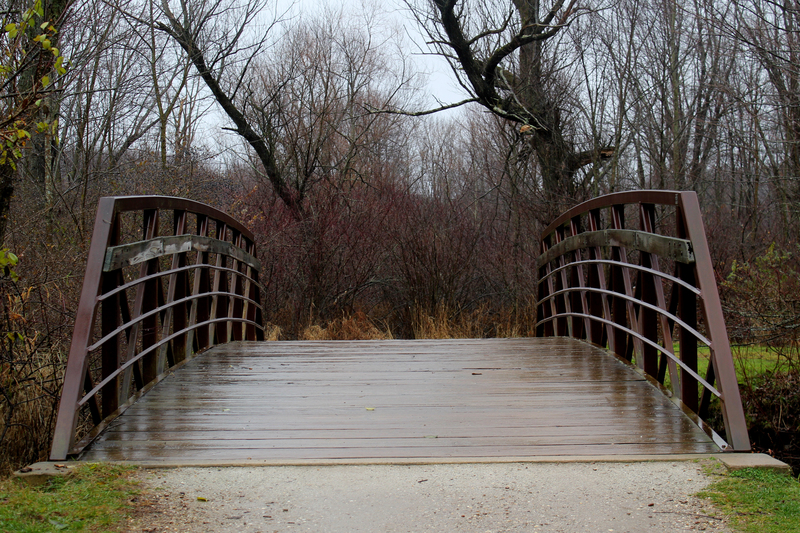 Even though it was raining, it’s a very beautiful area with a clear trail. Little Turtle Pond is near the center where people can fish. 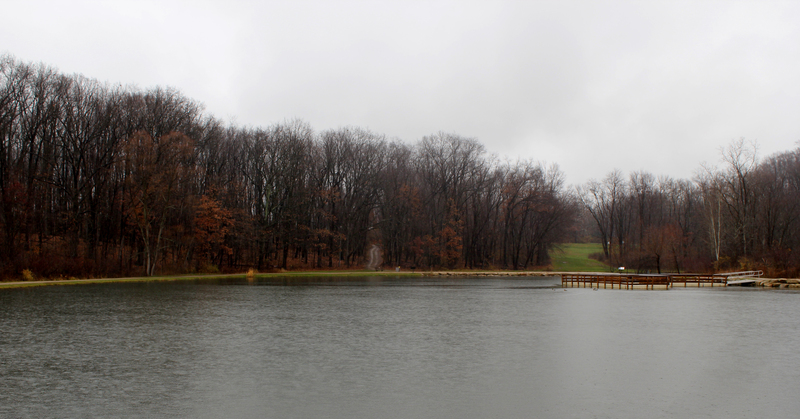 I took some time to reflect as I stood in the rain looking out across the water. Quickly, I became cold and wet and I was considering turning back, but I knew I was somewhere around half way. I refused to let the weather beat me. By this point in our story, my fingers and nose had become numb. I was wearing my Doc Martens so my toes were safe. Eventually, I saw the end. I was home, or at least to my car. I sat in there warming my extremities before I went along my merry way. I’ll definitely be back soon.